The Festival of Yoga & Healthy Living, hosted by Pilgrimage of the Heart Yoga, returns for the fourth year to celebrate the United Nations International Day of Yoga. This free, all-ages event will be held on Sunday, June 23, 2019 from 8am to 4pm at Waterfront Park in Downtown San Diego. 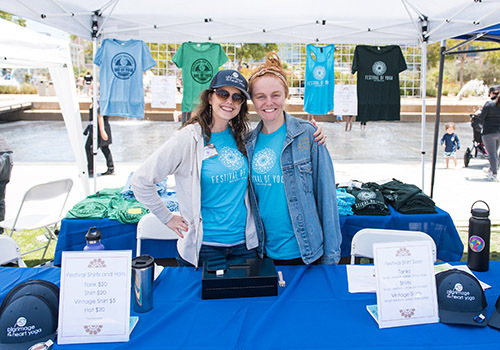 San Diego nonprofit OG Yoga is honored to be the Festival’s beneficiary for the second year in a row. The Festival of Yoga & Healthy Living's mission is to offer a wide variety of free yoga and healthy living options to people from all walks of life in a clean and comfortable environment. OG Yoga’s mission is to deliver trauma and diversity sensitive yoga through partnerships with nonprofit organizations serving marginalized individuals to support healing, resilience, self-development and positive social change. “Even though The Festival of Yoga & Healthy Living offers free admission, there are still many people who cannot attend due to trauma, lack of resources, or lack of freedom,” explains JoAnn Jaffe, Founder of OG Yoga. This unique partnership broadens the Festival’s mission to extend yoga & healthy living practices to those in need. 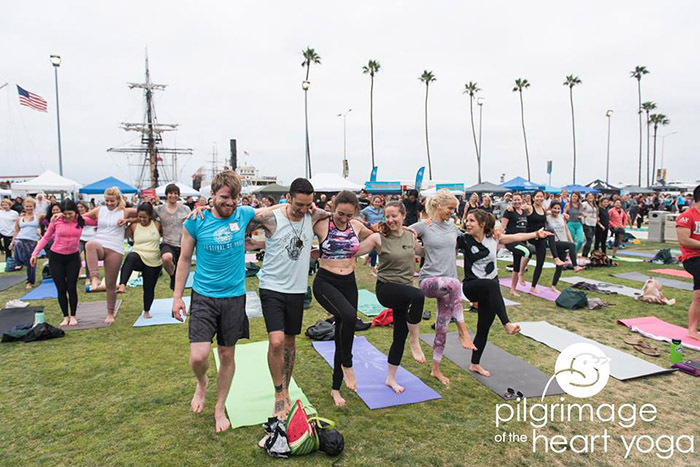 Sujantra McKeever, President & CEO of Pilgrimage of the Heart Yoga, started the Festival of Yoga San Diego in 2016 in celebration of the UN International Day of Yoga to promote a culture of peace and strengthen the yoga community. This year’s festival has an added mission of promoting overall healthy living. The event will feature a variety of yoga, meditation music & sound & healthy living classes. In addition there will be a vibrant marketplace and food court with food trucks. When registering online for this free event, people will have the opportunity to donate directly to OG Yoga for a tax deductible gift acknowledgement. All donations will go directly to OG Yoga to bring yoga meditation and mindfulness to those who cannot come to a studio or festival. Interested in Sponsoring the Festival? Event Sponsors can make tax deductible checks payable to OG Yoga or on-line payment. Sponsorships range from $250 to $10,000. Pilgrimage of the Heart Yoga welcomes an additional Event Sponsor to join them at the $10,000 level. Click here for sponsorship information or contact joann@ogyoga.org directly. Want to Volunteer at the Festival? Volunteers (teams and individuals) are needed to help make the Festival of Yoga & Healthy Living a success. Below are some of the many volunteer opportunities. To learn more about volunteer opportunities, please call Andrea at (203) 996-1952 or register to volunteer here. Register for the festival for FREE here. For Volunteer opportunities (Teams and Individuals), please call Andrea at (203) 996-1952 or register to volunteer here. For Sponsorship opportunities, please call Andrea at (203) 996-1952 or visit our sponsorship registration page here.